Unreal Lawns supply and install artificial grass in Alderley Edge and the north west of England. We serve domestic and commercial customers in the area, with products suitable for a wide range of applications from outdoor spaces and gardens, to event areas, exhibition space and more. See below for some examples of projects we've carried out in the Alderley Edge area. 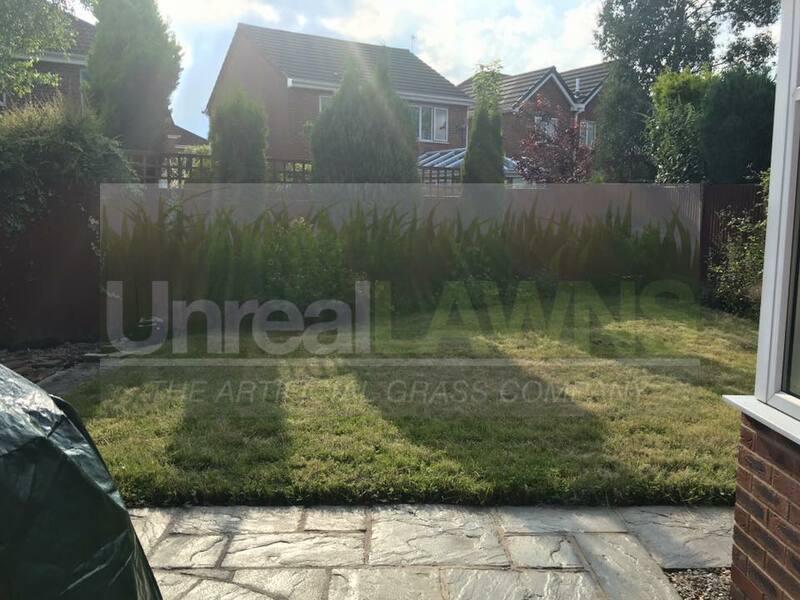 Unreal Lawns were contacted by a customer in Alderley Edge to come and replace their rear garden’s boggy, unusable lawn with our artificial grass. We installed our Luxury 35mm artificial grass, edging it using treated railway sleepers, and laid an Indian stone path to add the finishing touch to the garden. The result is a pristine garden, which will remain green all year round. 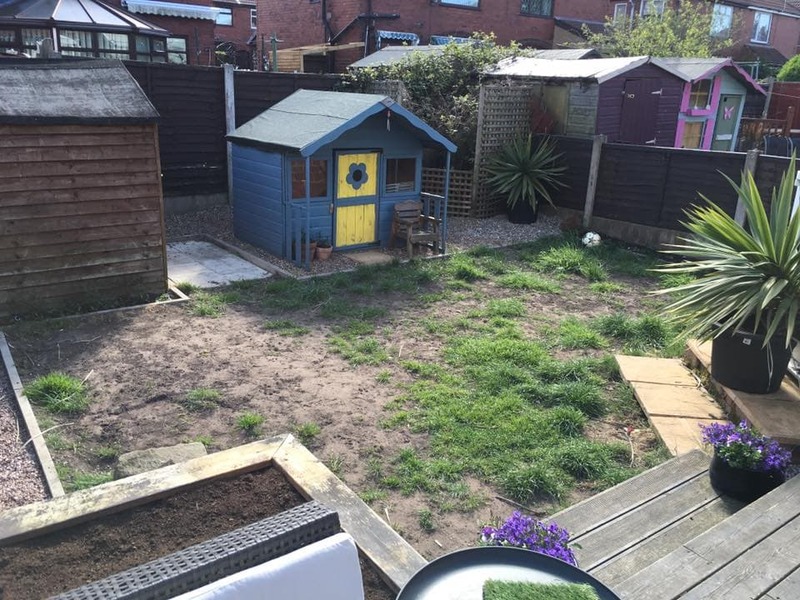 The customer was left delighted with the finished garden. Unreal Lawns visited this lovely little rear garden in Alderley Edge to install our artificial grass and transform the space. The previous lawn was very worn and boggy, which didn’t provide a suitable area for the children to play. After installation of our Supreme 38mm artificial grass, the garden is now child-friendly and will remain green all year round with no maintenance required. The customer was over the moon with the result and the children were eager to get outside and play.